Get 1 of the same-price FREE! Offer ends 4/30/2019.Free goods will be shipped directly from manufacturer. Smart Wetting® Impression Material offers an extremely low contact angle. Intraoral ‘targeted delivery system’ has the size, shape and feel of an impression syringe. Unit dose cartridges in 2 sizes; small cartridges for single unit crowns and large cartridges for multi unit bridges. Convenient automatic mixing and the benefits of intraoral delivery with less effort and less waste. Note: In order to use the digit system, you need to purchase the digit syringe dispenser separately (not included with cartridge refill). 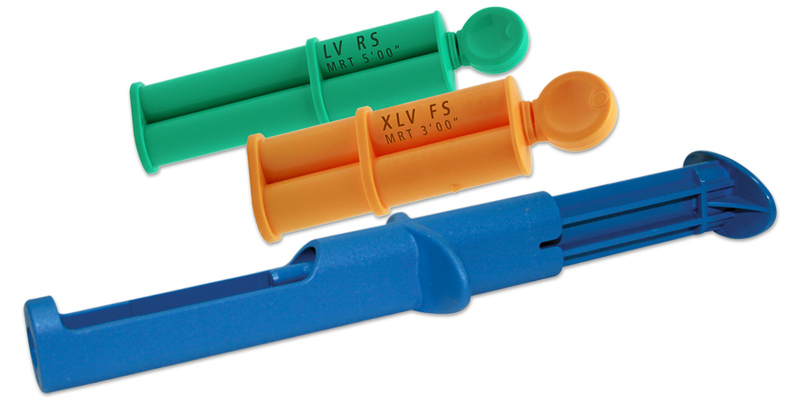 Contains: 50 x 1.6ml unit dose cartridges, 50 mixing tips, 50 intraoral tips. Contains: 50 x 1.6ml unit dose cartridges, 50 mixing tips, 50 intraoral tips, 1 x 6ml bottle B4 Pre-Impression Surface Optimizer, 50 flocked applicator tips, 1 dispensing well. Contains: 50 x 2.4ml unit dose cartridges, 50 mixing tips, 50 intraoral tips, 1 x 6ml bottle B4 Pre-Impression Surface Optimizer, 50 flocked applicator tips, 1 dispensing well.